I had the privilege of working with celebrity event designer Lisa Vorce (www.lisavorce.com) on an absolutely gorgeous wedding. 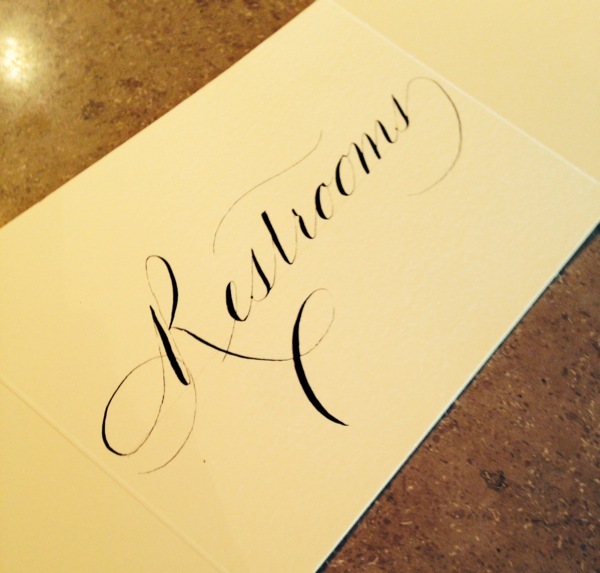 Here, I completed a few last minute calligraphic details hours before guests arrived at the reception. Here, I was literally watching paint (ink) dry before her team would intricately place my work throughout the reception. It was such a privilege and a joy to work with her & her team.